Growing up in the 80s I naturally have a lot of love to give to the Back to the Future trilogy. 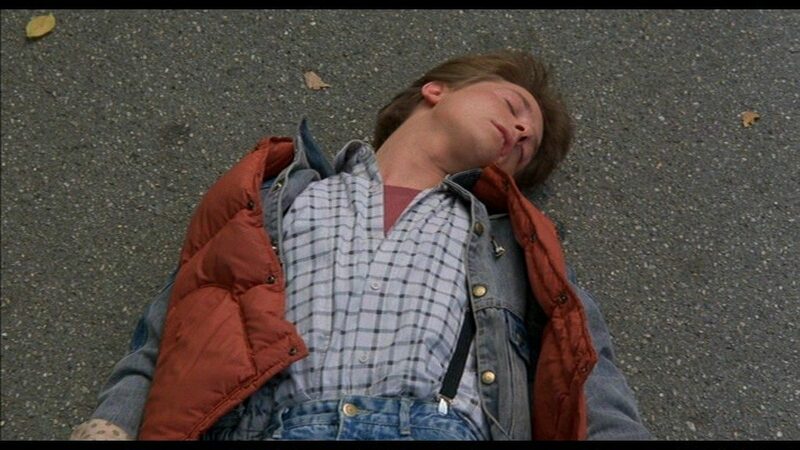 Marty McFly was everything I wasn’t: cool, sharp, witty and (most of all) American. In the course of the three movies Marty landed in three extremely American locales. The first movie took him to the swinging mid-fifties, packed full of diners and school dances. Back to the Future II too McFly to the not-too-distant future, a land of 3D movie promotions, self-tying shoes and kitschy 80s bars. Finally, the third movie took him to the wild west, the home of no-good dirty sumbitches who’d string you up as soon as spit on ya. It was the first movie that really grabbed my attention, though. I loved the 50s fashions, kids on pogo sticks and cars weighed down by so much chrome it’s surprising they moved at all. 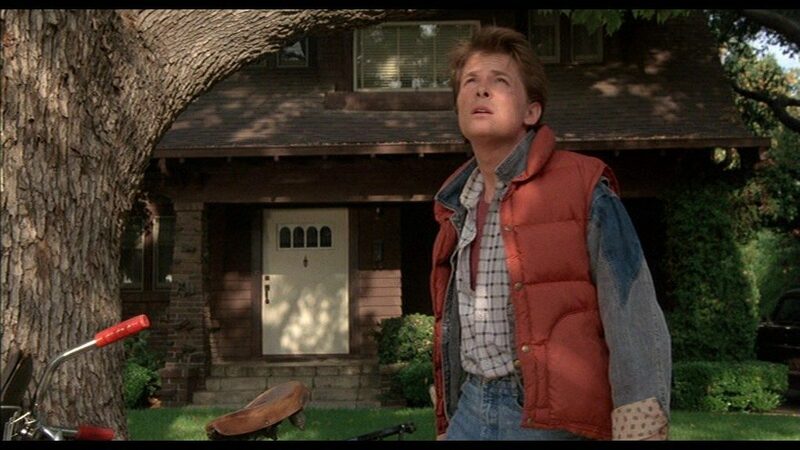 Most of all, though, I loved Marty McFly’s vest (or life preserver, as the locals mistook it). The vest was incongruous to the era, and most of the denizens of the 1950s assumed that Marty had just come ashore. 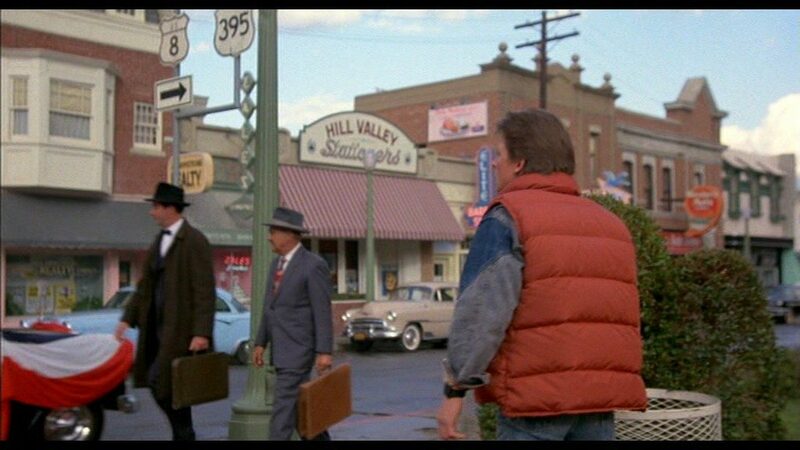 For those of you looking for your very own version of the Marty McFly vest… well, it’s a little complicated. Back in the 80s (when nobody could ever imagine that entire online communities would appear, packed with thousands of fans looking to recreate the costume down to the final stitch) costume designers didn’t tend to keep reliable documentation of their items. At the end of shooting the outfits used in most movies would either be returned to whatever hangar-like prop warehouse they came from, or quietly stolen by cast, crew and any passersby lucky enough to sneak on set. The exact provenance of the Marty McFly vest is unknown, though the online fan consensus, for what it’s worth, believe it to be a vintage North Face vest. I’ve taken a look at some old vintage North Face pics and compared them to screen caps from the movie and it seems likely that these fans have it right. As you can see, the Marty McFly vest is a sort of burnt orange tone (not bright orange, as many cheap novelty costumes reproduce it). 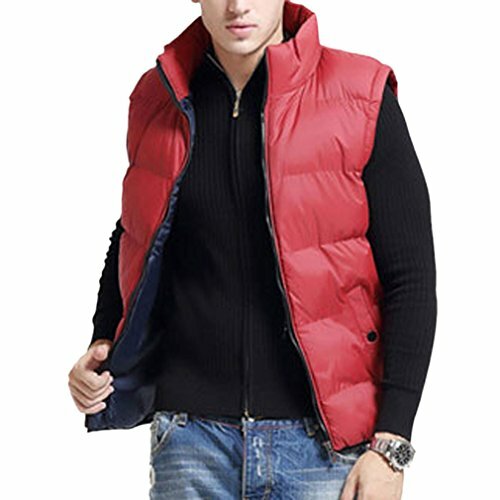 The vest uses snap buttons rather than a zipper to fasten, and the pockets curve at the top. Of course, if you insist on absolute screen accuracy you can probably make your own version (or modify this one), but as it stands this is the best ‘close enough’ available on the market. 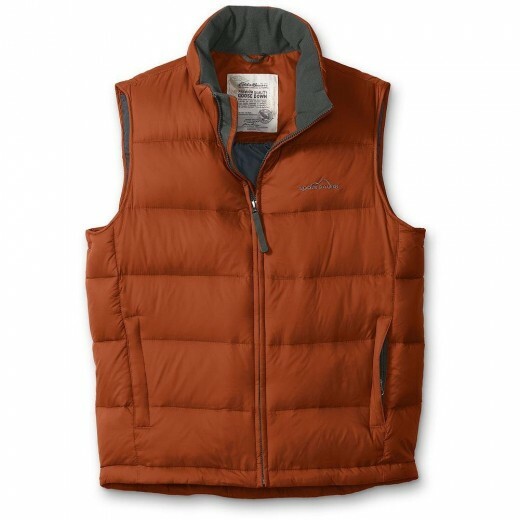 Considering the age of the movie I’d be surprised if anybody is going to make a genuinely screen accurate tribute to the Marty McFly vest, so I’d say you should grab the Eddie Bauer version, pair it with a denim jacket, a cool pair of 80s jeans and a checked shirt and turn it up to 88.